The Supervisory Board of Slovenski državni gozdovi d.o.o. (SiDG d.o.o.) appointed a new management company at its 12th regular session, which took place on 10 May 2017. After a selection process on the basis of a public tender, the members of the Supervisory Board selected Mr. Zlatko Ficko as Director General and Mr. Dejan Kaisersberger as Financial Director and Controller. Both directors have been appointed for a term of five years, starting on 1 May 2017. Mr. Ficko is closely related to forests and forestry, both privately as well as professionally. He attended secondary forestry school in Postojna and continued his studies at the Department of Forestry at the Biotechnical Faculty in Ljubljana. Mr. Ficko has been active in the forest sector since he started his career as a trainee in 1978. He first worked at Snežnik, then continued his career in the Slovenian Forestry Service. From July 2016 to May 2017, Mr. Ficko worked as one of three top managers of the new state forest company. Mr. Ficko has mainly held professional and managerial responsibilities throughout his career. He was, among others, the leader of the forestry planning sector, leader of dedicated state hunting reserves and he also worked in marketing. After the political decision was taken that Slovenia would abolish the forestry concession system in state forests and begin to manage state forests directly through its own state forest company, Mr. Ficko actively participated in writing the new law on the management of forests owned by the Republic of Slovenia. This new law was the legal basis for the establishment of the company SiDG. 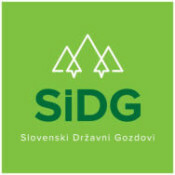 As one of three legal representatives of the new SiDG company, Mr. Ficko worked as the Commissioning Manager for forestry and timber, combining professional and managerial responsibilities. At the same time, Mr. Ficko was responsible for organizational, technical and human resources, in order to ensure the smooth commencement of operations in the new state forest company. Mr. Ficko played a leading role in establishing SiDG’s annual forest management plan and in preparing the draft of the long-term strategy for the field of forestry and timber industry. Mr. Ficko supports the sustainable development of Slovenian forests and related long-term development objectives in the broader social context. Mr. Ficko was born on 8 July 1956. He is married, the father of two adult children and lives in Kočevska Reka near Kočevje. SiDG is managing cca. 230.000 ha of forests. It has 163 employees and harvests cca. 1 mio. – 1,2 mio. of timber annually.